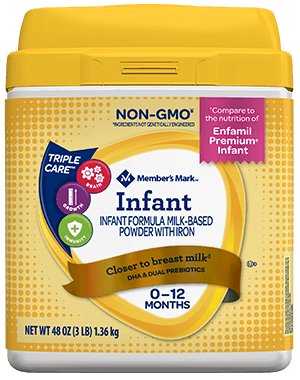 Moms across the country are telling us why they chose Member’s Mark® Infant Formula at Sam’s Club®. Read some of their baby formula reviews below. "It has all the necessary nutrition and vitamins the baby needs to grow." "It is just a great product and we will not stop using it." 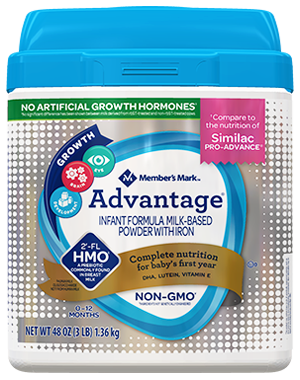 "I am so thankful and greatful that there is such a great and affordable baby formula out there." "My husband and I were at Sam's Club and saw the Member's Mark formula brand, tried it and have used it ever since." 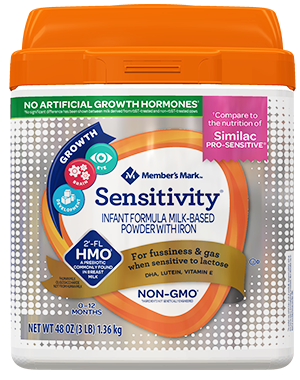 "Comparing the nutritional information Member's Mark was about the same as the twice as expensive Enfamil Formula." "Thanks to Member's Mark Fomrula, I can afford to give him what he needs to grow into a strong young man!" "I recommend this baby formula to anyone. I now feed my 2nd baby the same thing and he is doing great." "My son is growing and thriving and just doing wonderful on the Member's Mark Formula brand." "We appreciate knowing that she is getting all the nutrients she needs - for half the cost!" "Now we can spend the extra money we've saved on things for the entire family." "I was told about the money savings of Member's Mark and I immediately switched." "I bought a can to try it out, and we've been hooked ever since." "We love the formula, the BIG can, so you don't have to go to the store as often! Not to mention the PRICE." "It is nice to know that I can give her high-quality nutrition at a reasonable cost!" "Her doctor says to keep up the good work, because she is very healthy." "I bought a can and almost immediately her spitting up improved!" "Thank you for helping me keep my kids healthy and strong with your products and great price." 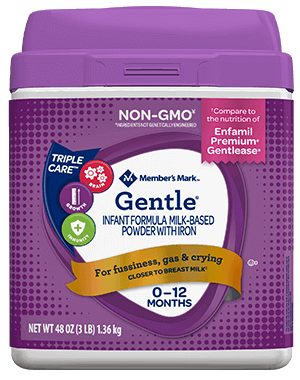 "After comparing labels and prices, we are now hooked on Member's Mark Infant Formula." "We did our research ahead of time, read baby formula reviews, and joined a Sam's Club so that we could start saving right away."